Tobacco use remains one of the most preventable and frequent causes of death in the United States. Tobacco kills more than 400,000 people per year in the United States or more than the total number killed by AIDS, alcohol, motor vehicles, homicide, illegal drugs, and suicide combined. We have various programs to assist individual members of the community, as well as assisting with work site programs and policy, and even develop policies for apartments and other multi-unit housing to eliminate environmental exposure to tobacco smoke. As a public health approach, developing policies to reduce indoor smoke pollution is one of the best approaches to improving the health of our citizens. We can help to develop or strengthen policies to eliminate smoking inside of apartment units, including resident engagement and education program, as well as cessation help. Not only does eliminating environmental tobacco smoke improve the health of tenants, but it is also shown to significantly reduce turnover costs for landlords. The Pennsylvania Clean Indoor Air Act has helped to reduce environmental tobacco smoke for most businesses. However, there are still areas of concern such as whether employees have an odor of tobacco upon them when serving clients/customers, or smoke in close proximity to the entrance of buildings, or whether e-cigarettes (vapes) are included as part of the policy. Keystone Wellness Programs health educators have much experience helping businesses both large and small as they tackle these policy issues. 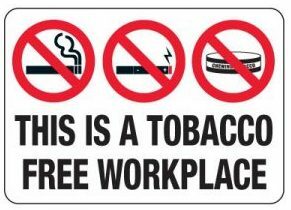 Even if there are currently no smokers working at a business, being proactive is smart. We can offer a model policy, assist with education and cessation classes, or quickly train employers on how to refer their employees to resources that are available and free to all PA residents. We know that healthy play is important. 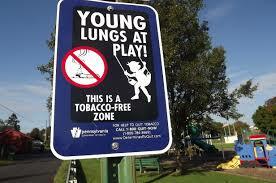 The program “Young Lungs at Play” establishes tobacco free zones for playgrounds, ball fields, parks, public swimming areas, walking trails and other fun areas where children and families enjoy the outdoors. Developing these outdoor play spaces as tobacco free will cut down on litter, environmental smoke, and poor modeling for youth. Our health educators can assist with developing programs and also sharing model policies from other outdoor recreation zones. Did you know that all residents of Pennsylvania have access to a free health coach by telephone? Call 1-800-QUITNOW (1-800-784-8669) for instant help day or night. Employers, counselors, health practitioners, clergy, and other helping professionals can easily refer consenting individuals to the Quitline and a health coach will make the first call. Training on the referral process is easy and takes just minutes. And, as with all of our tobacco services, we provide the training and materials at no cost. Most people who smoke started young – in fact 90% of smokers started before the age of 21! Preventing teen tobacco use is the best way to prevent adult tobacco use. Together with the American Lung Association, the TRU program allows youth to have a voice in tobacco-free programming. TRU groups have formed throughout Butler and Beaver Counties and we are always welcoming new groups. Churches, schools, clubs, and other organizations can develop their own group and our health educators can provide materials, training, and fun programs for the youth. We just need an adult sponsor for the group and some interested teens. 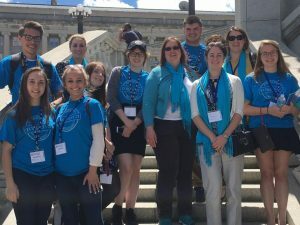 Plus, each year, we take some of the teens to Harrisburg to visit the Capitol and speak to legislators about tobacco laws. The ten counties in our region include Butler and Beaver as well as Washington, Westmoreland, Fayette, Green, Armstrong, Indiana, Somerset, and Cambria counties. Each area meets the unique needs of their citizens, plus we come together to share ideas as a region and develop plans for successful initiatives. If you are interested in how tobacco impacts your community – whether as a private citizen, activist, helping professional, or other caring individual – we welcome the chance to invite you to our Partners meetings. We share ideas and resources, and generate creative energy and there is always room for more!